In the late-19th century, Russia was engaged in rivalry with the British Empire, especially in Asia, and sought to establish relations with England’s enemies. Tsar Nicholas II considered establishing a Russian consulate in the South African Republic (ZAR, later Transvaal) in March 1897, due to the ‘ever growing importance of the African continent for the people of Europe and important political questions’. With about 8,000 Russian Jews living in the Transvaal also taken into consideration, the Tsar agreed to the appointment of a South African of Dutch origin, Dr Leyds, as the ZAR’s envoy to Russia in September 1898. At the same time, Adolph von Gernet, a Russian living in the ZAR, was appointed the Russian vice-consul in Johannesburg. Russians tended to have sympathy for the Boers, who became engaged in a war against the British Empire from 1899 to 1901, and about 200 Russian volunteers travelled to the Transvaal to help the Boers fight the British. 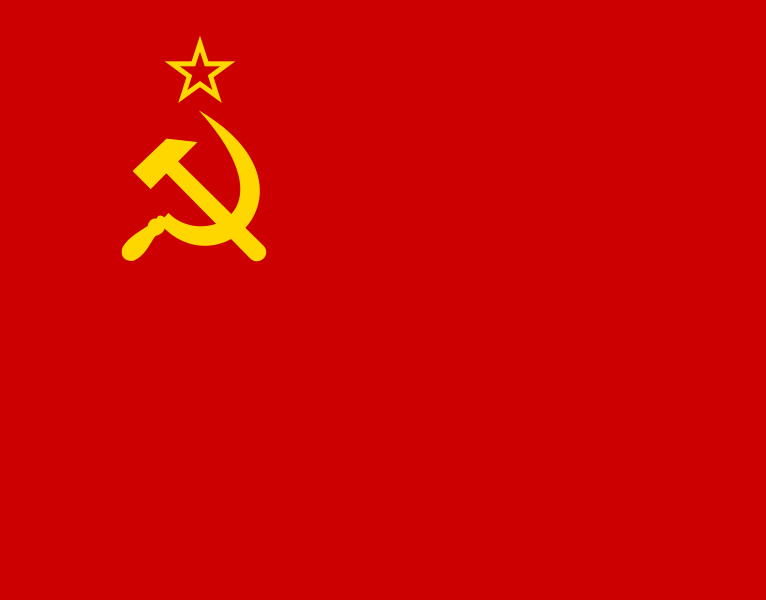 After the Bolshevik Revolution and the establishment of the USSR, the Communist Party of South Africa (CPSA), established in 1922, became a member of the Communist International (Comintern). 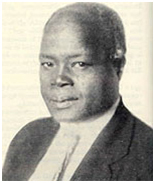 The CPSA’s first Black secretary, Albert Nzula, became the first Black South African to travel to the USSR, where he lived until his death in Moscow in 1934. Nzula worked for the communist-controlled trade union organisation, the Profintern, and together with Ivan Potekin and Alexander Zuusmanovich, wrote a book on African workers in South Africa – with Nzula using the pen-name Tom Jackson. Founding father and later president of the ANC, Josiah Gumede, visited the USSR in February and later from November to December 1927. A delegate at the inaugural congress of the League Against Imperialism in Brussels, Gumede was accompanied by JA la Guma, a member of the CPSA. They travelled to Germany, and then to the Soviet Union. They returned to Moscow at the end of the year, attending the celebrations of the 10th anniversary of the October revolution, and took part in the Congress of the Friends of the USSR. When Gumede returned to South Africa, he said in a speech: ‘I have seen the world to come, where it has already begun. I have been to the new Jerusalem.’ Marked by his experience, Gumede began to call for a united front uniting communists and non-communists. Later that year he was elected president of the African National Congress(ANC). In the late 1950s the Soviets, under Nikita Khruschev, began to foster stronger ties with Africans, beginning with Egypt, Ghana and Guinea. The Soviet public was exposed to the idea of internationalism, and African-American singer Paul Robeson was a well-known figure in the country. Peter Abrahams ’book Path of Thunder, was prescribed for students of English at some Russian schools. A book on South Africa, Union of South Africa After World War II, by I Yastrebova, was published in the USSR in 1952, but in general the public knew little about the country. When the Cairo-based Afro-Asian Solidarity Secretariat, the precursor of the Afro-Asian Solidarity Organisation (AAPSO), asked its various committees to send a message of greeting to the ANC on the eve of its annual congress in 1959, the Soviets asked the African Department of the Institute of Oriental Studies for information about the ANC. Researcher Appolon Davidson acceded to the request by writing a short paper on the ANC. The African Department was expanded in 1962/3 to become the Africa Institute, a body that was to play a crucial role in the USSR’s relations with the continent. Brian and Sonia Bunting, members of the South Africa Communist Party (SACP), visited the Soviet Union in March 1954 as the guests of the All-Union Society of Cultural Ties with Foreign Countries, and were followed by Ruth First, who was a guest of the Anti-Fascist Committee of Soviet Women. However, there is no indication that these visits were part of attempts to establish inter-party relationships. This was also the case with Sam Kahn, a Member of Parliament (MP), who visited the USSR in the 1950s while he was living in England. Walter Sisulu, secretary general of the ANC, and Duma Nokwe, president of the ANC Youth League, went to the USSR after attending World Youth and Student Festival in Bucharest, Romania, in 1953. The duo spent several weeks in the country, and also went to Azerbaijan and Beijing, China. Moses Kotane expressed misgivings about Sisulu’s visit, as he thought it ‘would open himself to all kinds of criticism by visiting a communist country’. In London Colin Legum, a journalist and former member of the Labour Party, told Sisulu there was ‘great hostility’ in South Africa to his trip. When the ANC held its annual conference in 1954, a motion of no confidence was proposed against Sisulu, but the motion was defeated and Sisulu retained his position. Later, Sisulu and Nokwe both joined the SACP. In 1955, Helen Joseph invited Lilian Ngoyi, President of the ANC Women’s League, and Dora Taman, national secretary of the Federation of South African Women, to visit the USSR. It was only after the Sharpeville Massacre and the banning of the ANC and Pan Africanist Congress (PAC) that more formal relations began to be established between anti-apartheid movements and the USSR’s official agencies. Yusuf Dadoo and Vella Pillay visited Moscow in July 1960 and held talks with the Communist Party of the Soviet Union (CPSU), informing them of developments in South Africa. They also requested funding for the operations of the SACP, ANC and for taking care of detainees and their families in the wake of Sharpeville. The Soviets responded with a donation of $30,000 to the SACP. Dadoo again went to Moscow at the end of 1960, accompanied by SACP theoretician Michael Harmel and Joe Matthews, a member of the SACP and ANC. They attended the International Meeting of the Communist and Workers Parties, with Matthews delivering the first speech. The meeting took place while Sino-Soviet relations were headed towards a breakdown, but the SACP maintained a non-partisan stance in the conflict. Eventually China stopped support for the ANC and began fostering ties with the Pan Africanist Congress (PAC). Discussions at the meeting revolved around the state of resistance in South Africa, as well as the question of boycotts and the isolation of the apartheid regime. The Soviets assured the delegation that they would cease all trade with South Africa, despite certain difficulties – including the role of De Beers in the diamond industry. The Russians also agreed to beam radio broadcasts into Southern Africa, and the Soviets set up the African Service of Radio Moscow, which had English and Zulu programmes. Dadoo visited Moscow again in October 1961, accompanied by Moses Kotane, who had studied in the country from 1931 to 1932, and participated in discussions in the Comintern in 1936. Invited to take part in the 22nd Congress of the CPSU, they discussed for the first time the use of violence in the struggle to liberate South Africa. Their discussions were with officials of high rank, including Vitaly Korionov, deputy head of the International Department. On 18 November they met with Boris Ponomarey, who would liaise with the SACP for the next 25 years. Just elected international secretary, Ponomarey took up the issue of the openness of the party and the question of the use of violence. 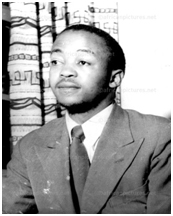 Kotane gave the Soviets a document he had written, titled ‘Notes on Some Aspects of the Political Situation in the Republic of South Africa’, and he argued cautiously for the use of limited forms of violence, such as picketing and sabotage of communications infrastructure. Ponomarey promised them that the CPSU would give them a response, and discussed the possibility of using the territory of African countries such as Ghana and Guinea to render assistance to the ANC and SACP. Ponomarey reported to the CPSU and the secretariat gave its reply four days later, endorsing the use of violence – but only as part of a broader strategy combining other forms of struggle. It cautioned that the move required circumspection. In 1961, Vella Pillay asked the Soviets to take in 10 students for academic training, and on 16 September nine students travelled to Moscow to begin their studies. Among them were Anthony Mongalo, who trained as an oil engineer in Baku, and Eduardo dos Santos, later to become the president of Angola. In December 1961, the Soviets decided to re-establish the International Lenin School as a permanent facility to train people from other countries. More than 60 parties were invited to send students to the new school in 1962, and the SACP sent Ruth Mompati, Flag Boshielo and Alfred Kgokong. The SACP’s Arthur Goldreich and Vella Pillay went to Moscow in December 1962 and Ponomarey received the duo. They discussed the draft plan of Operation Mayibuye, which called for the training of uMkhonto we Sizwe (MK) cadres on African soil – by 1963 a camp was set up in Tanzania. Goldreich also conferred with technical specialists, marking the first time that the Soviets assisted MK. The question of using ships to land supplies in South Africa was proposed but ultimately rejected. While Moscow assisted the ANC through the mediation of the SACP, the Soviets were keen to establish more direct contacts with the liberation organisation. Tennyson Makiwane was probably the first ANC representative to hold direct talks with Moscow when he went there in May 1961, although he was also a member of the SACP. The Soviet Afro-Asian Solidarity Committee was the organisation tasked with dealing with African and Asian affairs, giving support to various liberation movements from the early 1960s onwards. Based at a large house at 10 Kropotkina Street, the site became a rendezvous for African activists. The body was first convened as the Asian Solidarity Committee in 1956, but was relaunched as the Soviet Afro-Asian Solidarity Committee after the 1958 AAPSO conference in Cairo, where it had a permanent representative. The ANC’s Mzwandile Piliso was in daily contact with the Soviet Solidarity Committee in Cairo, where he dealt mainly with Latyp Maksudov. In February 1962, Piliso requested that the Solidarity Committee provide modest financial assistance for Oliver Tambo, Nelson Mandela and Robert Resha, who were attending a conference of writers from Asian and African countries. The funding, in the region of 100 roubles (about $111), was the first instance of direct Soviet financial support for the ANC. Before this the Soviets had been giving the ANC financial support via the SACP, which was allocated $50,000 in 1961, and $112,445 in 1962. Much of this money was sent to lawyers representing ANC people on trial, and was used to help with their families and legal costs. When the Soviets opened an embassy in Dar es Salaam, Tanzania, in 1962, more direct links between the Soviets and the ANC were cemented. The embassy, formally through the Soviet Afro-Asian Solidarity Committee, invited Oliver Tambo in December 1962 to visit the USSR for a period of rest. Tambo went to the country in March 1963, accompanied by Moses Kotane. Tambo presented an overview of events in South Africa, and met with the CPSU. On 5 April 1963 Tambo and Kotane had talks with Ponomarev, which was the beginning of a long relationship between the men. Tambo set out radical plans for the overthrow of the apartheid regime, using armed and political struggle. He also talked of the urgent need to train ANC cadres in the USSR. Tambo’s request for military training was approved by the Soviet government, and in Summer of 1963, two groups of 20 cadres arrived in Moscow to begin studies at the Northern Training Centre. The recruits underwent training in guerrilla warfare, military strategy and tactics, topography, drilling and the use of firearms. A year later Chris Hani arrived and spent a year in Moscow. He would later become the MK Chief of Staff and the General-Secretary of the SACP. One group was headed by Barney Desai, president of the SA Coloured People’s Congress. Desai soon withdrew from the programme, and merged his group into the PAC. Tambo visited the USSR again in October, and because the number of recruits had increased significantly, training was moved to a larger facility in the city of Odessa in the Ukraine. The first group arrived in November 1963, and they were joined by a larger group that included Joe Modise (known as Thabo More) and Moses Mabhida, who was recalled from the World Federation of Trade Unions (WFTU) headquarters in Prague. Between 1963 and 1965, 328 cadres were trained at Odessa. Leaders of the ANC and SACP also underwent aspects of military training, including Oliver Tambo, Moses Kotane, Duma Nokwe, Joe Slovo and Ambrose Makiwane. Tambo led another delegation to the USSR in August 1965, accompanied by Joe Modise. Some attempts were made by the newly trained MK cadres to infiltrate South Africa, and Josiah Jele was one of the first to engage in this exercise, but his mission failed. Other cadres took part with Zimbabwe African People’s Union (ZAPU) fighter in the Wankie and Sipolilo campaigns. After the latter campaigns, the leaders realised that they needed more trained medical personnel, and a group was sent to Kiev to be trained as nurses. The ANC and SACP briefed the Soviets whenever major policy decisions were made, and after the Morogoro Conference in 1969, Tambo, Modise and Nokwe met with their Soviet counterparts and delivered reports. After the Lusaka Manifesto was drawn up, the Soviets were also briefed, and the Soviets did not take kindly to the resolutions to foster warmer relations with the colonial powers in Lisbon and Southern Africa. However, these resolutions were abandoned at the regional conference held in Khartoum in January 1970. The early 1970s saw the ANC ranks becoming depleted, and those who had undergone training were advancing in age, many of them were in their late thirties, becoming too old to conduct military operations in South Africa. A particularly depressing episode began when the Tanzanian government, believing that some ANC members were involved in a plot to overthrow the government of Julius Nyerere, expelled the ANC from its territory. The ANC was given 14 days to move all its troops out of the Kongwa camp. The ANC could find no other country on the African continent that would allow it to establish a camp and house its troops. It fell to the Soviets to fly the troops to the USSR. In 1970, fearing that the troops had no alternative destination, JB Marks asked the Soviets to allow the cadres to remain in the country until other arrangements could be made. One of the schemes to return the cadres to Southern Africa was Operation J, a plan to use a ship to transport arms and men to the coast of South Africa, but after spending enormous sums of money on the plan, the project fell through. Eventually relations between the ANC and the Tanzanian government improved, and most of the cadres returned to the country, although some went to Algeria. While the Black Consciousness period was unfolding within South Africa, the ANC was undergoing a decline, and Tambo admitted to the Soviets that the ANC had not played a decisive role in the political resistance of the early 1970s. It took the June 1976 Soweto Uprising to replenish the ranks of the ANC, after thousands of students left the country and joined the ANC and MK. By the end of July, some 400 new recruits were living in ANC camps in Luanda. The ANC sent groups of these students to the USSR and, between 1976 and 1978, 140 new recruits were trained there. During the annual ANC visit to Moscow in October 1978, Oliver Tambo stressed that the West was beginning to accept that the majority rule in South Africa was inevitable, and they were beginning to look for ways to secure a regime that would be partial to the West. In the process, the US was making things difficult for the ANC, isolating the movement from developments inside South Africa, making things difficult in neighbouring countries, and cutting off sources of aid. Now Tambo, on the advice of Jorge Risquet, the Cuban military leader in Angola, asked the Soviets to help train new recruits in Angola instead of the USSR, and military advisers began to arrive on African soil in October 1979. In line with the new policy of training cadres on the African continent, Tambo asked the Soviets for help in running the newly established Solomon Mahlangu Freedom College in Tanzania. From 1979 to 1991 more than 200 Soviet advisers and interpreters were engaged in training in Angola. By 1982 the ANC units were shaping up into an efficient army, capable of regular and guerrilla warfare. A mutiny by ANC cadres was a cause for much concern among both MK and Soviet leaders. Chris Hani told Vladimir Shubin that they suspected that Pretoria’s agents had infiltrated MK ranks and were busy stirring up discontent in the wake of losses in battles against UNITA. The ANC delegation to Moscow in December 1979 placed special emphasis on the armed struggle. Led by Oliver Tambo, the group included Joe Modise, Thomas Nkobi, Mzwandile Piliso, and Cassius Make. More prominent ANC leaders began to go for training to the USSR. Andrew Masondo, released from Robben Island and banned, left the country and travelled to Moscow to undergo training. Appointed as the national commissar of MK, he played a significant role in expanding the liberation army. Other leaders followed, including Alfred Nzo, Joe Gqabi, John Nkadimeng, and Henry Makgothi. The 1980s saw the state making increasingly desperate attempts to suppress widespread rebellions and revolutionary struggle, and the struggle against apartheid began to look like a war that could be won. MK’s attacks on South African installations were evidence that the years of training were beginning to have real weakening effects on the power structure. The first such attack - and one of the most successful and spectacular MK operations - was the bombing of the Sasol plant on 1 June 1980. The attack halted the operation of the plant, and sent shudders through the apartheid regime. Further attacks on army installations followed. The Voortrekkerhoogte Army Base near Pretoria came under attack on 16 June 1981, the fifth anniversary of the Soweto Uprising, in a spectacular fashion. The use of Soviet limpet mines, although not all of them detonating as they were intended to, saw the Soviet training used to directly confront the apartheid army on its own territory. The attack on the South African Air Force Headquarters, and the building used by Military Intellligence on 20 May 1983, reinforced the government’s perception that they were entering a new phase of the war. The South African press fixed on Joe Slovo’s role in the operations, alleging that he was sending his charges into dangerous operations from the safety of his home in London. In fact Slovo was in Moscow at the time, engaged in SACP deliberations on trade unions. In 1985, after the ANC’s Kabwe conference, General Siphiwe Nyanda went to Moscow with a group including Charles Nqakula and Nosiviwe Mapisa Nqakula to study military combat work. By 1986 there was an intake of 60 South Africans every year. By the latter half of the decade Joe Modise was asking the Soviets to train MK cadres for taking up positions in a regular army – by now negotiations were envisaged and a political settlement was beginning to be seen as a real possibility. In 1986 ANC members began a three-year course for motorised infantry officers in Perevalnoye, and the next year many were to embark on five-year courses to become helicopter and jet pilots, flight engineers or naval officers. The SACP was far from welcome in many countries of the African continent, exceptions to this hostility being Angola and Mozambique. Because of this suspicion of the organisation, the SACP held many meetings in the Soviet capital, and the Russians provided generous aid to the organisation throughout the period from the 1970s to the 1990s, covering all the costs including air travel. The SACP was also invited to take part in meetings of the CPSU and other important communist gatherings. They were invited to the CPSU Central Committee meeting in November 1984 at Volonskoye, where they were joined by South Africans studying at the International Lenin School, bringing together many cadres who seldom had the opportunity to see each other in such great numbers. At the suggestion of Ronnie Kasrils, the meeting became the occasion for the SACP’s Sixth Party Congress. Moses Mabhida was re-elected general secretary, and Joe Slovo was made party chairman. Slovo then went to report to Oliver Tambo, who was receiving medical treatment at Barvikha Sanatorium 20km from their venue. With the coming to power of Mikhail Gorbachev in 1985, the USSR began to experience a profound process of restructuring (perestroika) and political liberalisation (glasnost). There was concern that the new dispensation would alter the policy of support for the ANC and other liberation forces, especially since the Soviets were now embarking on a thaw in Cold War relations and a rapprochement with the United State (US) and the West in general. 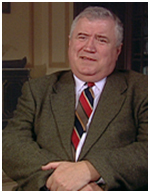 Shubin and other analysts divide the Gorbachev period into two phases: during the first, perestroika is seen as successful in terms of achieving socialist ideals; but during the second phase, the CPSU went into decline and the USSR was eventually dissolved. When Tambo cancelled a meeting with the Soviets, scheduled for July 1986, Shubin flew to Berlin to discuss the reasons for the pull-out. Envisaged as a joint meeting between a wide range of stakeholders, including the Cubans, SWAPO, the Angolans and the Soviets, Tambo was afraid that information would be leaked after such a general consultation with so many participants. There was also nervousness with regard to a conference in Paris at which the West was expected to announce a new regime of sanctions against South Africa. Shubin reveals that it was at this meeting that Tambo for the first time talked of the possibility of a political settlement with Pretoria, and he mooted the possibility of a suspension of the armed struggle. Joe Slovo then raised the possibility of a meeting between Tambo and Gorbachev, and the meeting took place on 4 November 1986 in the Kremlin. Tambo, having attended the funeral of Samora Machel in Maputo, led the ANC delegation to Moscow to meet with the Soviet leader. The meeting, according to Shubin, ‘can be regarded as a pinnacle in Moscow’s relations with the ANC’. They issued a joint communiqué, and Tambo appealed to Gorbachev to set a date for his visit to Southern Africa, which, he said, would transform the situation in the region. Gorbachev also revealed to Tambo that PW Botha had been making attempts to forge relations with the Soviets. They announced in their joint communiqué that a political settlement in South Africa could be achieved if three conditions were met: that Pretoria ceases its acts of aggression against African states; that it grants independence to Namibia; and that the apartheid regime is removed from power. The next day, the ANC delegation met with General Valentin Varennikov, the first deputy head of the General Staff, to discuss military matters. They were assured of the Soviet Union’s full support for the ANC. After the meeting the ANC opened a mission in Moscow, a move designed to facilitate increasing bilateral relations between the ANC and Moscow. The intent was announced in January 1987, and the mission, with full diplomatic status, was opened in November, and was headed by Sipho Makana. The ANC timed the opening of the mission with the establishment of missions in various other centres, including one at the United Nations. During September 1987, the ANC held trilateral talks with Moscow and the Cubans, to discuss the shape of the expected political settlement in South Africa. The ANC delegation, led by Oliver Tambo, included Joe Modise, Joe Slovo, Alfred Nzo, and Thabo Mbeki. The Cubans were represented by Jorge Risquet, and the Soviets by Anatoly Dobrynin, who had become the replacement for Boris Ponomarey. In April 1988, Joe Slovo and Chris Hani led an SACP delegation to Moscow to discuss the political settlement and Soviet contacts with anti-racist forces, and they were advised to work out their own formula for overcoming the apartheid regime – this meant a particular combination of diplomacy and armed struggle. The Soviets provided support for Operation Vula, which the ANC launched in 1988 to create an armed underground network within South Africa, to reinforce its strength at the negotiating table and in general in the event that negotiations might fail. The Soviets helped to infiltrate Mac Maharaj, Ronald (Ronnie) Kasrils and Siphiwe Nyanda, among others, into the country. The operation was begun in 1988 and continued until February 1990. The Soviets also embarked on a drive to forge relations with anti-apartheid organisations inside South Africa, and invited prominent figures, including journalists, to visit Moscow. Bishop Desmond Tutu went to Moscow in June 1988, and was followed by Alex and Jenny Boraine from Idasa. Journalist Allister Sparks went to Moscow in August 1988. However, by now the Soviet Union was entering into the second phase of Gorbachev’s reign, and a profound realignment was taking place. At the CPSU Central Committee’s session in November 1988, the Old Guard was being replaced by a new set of leaders, and Andrey Gromyko and Anatoly Dobrynin were removed from their positions. Dobrynin was replaced by Alexander Yaklovlev as the international secretary, and Gorbachev was elected as the USSR President in 1990. The project to ‘perfect socialism’ was giving way to the restoration of capitalism. Now Joe Slovo noted that there was an impression that ‘even in the Soviet Union there was a bias towards pushing for a negotiated settlement’. In March 1989 Tambo led a delegation of ANC leaders to Moscow, at the invitation of the CPSU CC and the Presidium of the USSR Supreme Soviet. Tambo drew a picture of the situation in Southern Africa, which was rapidly changing, and discussed the implications of Namibian independence and the withdrawal of the South African Defence Force (SADF) from Angola. He stated that Pretoria wanted to enter into negotiations with the ANC but was hamstrung by the success of its own portrayal of the liberation organisation as a terrorist threat. The Soviets, represented by Antoly Lukyanov, assured Tambo that attempts by Pretoria to draw the Soviets into a new relation with the apartheid regime had been rebuffed. Tambo issued a statement afterwards expressing his happiness at the Soviets’ continuing support for the ANC and its policies. Yet, at the same time, the British Broadcasting Corporation (BBC) reported that a ‘secret’ meeting had taken place in England between Soviet, South African and British academics. After one participant claimed that the Soviets did not want to see the ANC in power, Andrey Gromyko, the head of the Soviet delegation, stated that the media in South Africa and Britain had distorted the discussions at the meeting, and regretted that the British had ignored the Soviets’ insistence that ANC representatives attend the meeting. An Idasa delegation to the Soviet Union in April 1989, led by Frederik van Zyl Slabbert, helped to set things right. The delegation announced that it had found no evidence to suggest that Soviet policies, with regard to the ANC, had changed in any way. Yet the fluidity of the Soviet situation lent credence to the idea of a change in Soviet policy towards the ANC and South Africa. In September 1989 Eduard Shevardnadze, minister of foreign affairs, pledged at the United Nations ‘to oppose resolutely all kinds of violence, no matter what had caused or motivated it’, effectively denying South Africans the right to fight apartheid. Nevertheless, before he arrived in Namibia for the country’s independence celebrations, Shevardnadze met with Alfred Nzo, Joe Slovo and Thabo Mbeki, and reassured them that the Soviets would continue to support the ANC’s ‘revolutionary work’. Mbeki advised that they wanted the Soviets to be seen by South Africans as leaders of anti-apartheid forces. Nonetheless, the Soviets’ desire to normalise relations with previous enemies also saw Shevardnadze secure the permission of the ANC for a meeting with FW de Klerk and for the possibility of establishing a diplomatic office in South Africa, to which Moscow and Pretoria agreed, on 26 February 1991. The new office was headed by Alexey Markov, who had acted as an interpreter with the first MK group in Odessa in the USSR. With the release of Nelson Mandela in February 1990, and his visits to many capitals of the world, the possibility of his visit to Moscow became an issue with both the ANC and the Soviets. Yet, Gorbachev, according to Shubin, was overly cautious about being seen to expand communism while he was wooing the West. Gorbachev extended an invitation to Mandela but somehow the two sides never agreed on an appropriate date. While some in the Soviet Union saw it as a high priority for Mandela to visit, many agreed with Gorbachev’s position, although Shubin points out that by that time, no-one would suspect the Soviets of nefarious intent. Indeed relations between the ANC and the Soviets continued at the highest level, and Walter and Albertina Sisulu were invited to the USSR. Gorbachev himself introduced Sisulu at the reception, and assured the latter that the Mandela visit would be welcome. The last official delegation to the USSR in December 1990, which included ANC deputy secretary general Henry Makgothi and Rashid Patel (Aboobaker Ismail, of the MK’s High Command), held talks with Gennady Yanaev, a member of the Politbureau and international secretary of the CPSU. Yanaev assured the delegation that the Soviets were in full support of the ANC and its policies. Four months later, Joe Slovo went to Moscow on the last high-level SACP meeting with the Soviets. On 23 April 1991, Slovo met with Vladimir Ivashko, Gorbachev’s deputy in the CPSU, and they held discussions on a wide range of issues. Shubin attended the ANC national conference in Durban in July 1991, and Mandela met with the Soviet delegation on 3 July. According to Shubin, Mandela was ‘worried about the delays to his visit to the USSR’. In August, Soviet deputy foreign minister Valery Nikolaenko was sent to South Africa to reassure Mandela, confirming Gorbachev’s invitation. In the meanwhile, the Soviets decided to stop all military training for all foreigners, and although a letter from the CPSU was sent to Gorbachev asking him to make an exception in the case of the ANC, history decided the issue when Gorbachev was seemingly ousted in an abortive coup on 19 August 1991. Although Boris Yeltsin mounted a counter-coup, Gorbachev never again assumed full power as president, and a situation of dual centres of power became the de facto reality. The remaining MK troops were sent back to South Africa, and Pik Botha visited Moscow on 7 November, restoring consular relations with the Soviets two days later. Then FW de Klerk announced his intention to visit Moscow, but before he arrived the USSR was dissolved on 8 December 1991. Yeltsin replaced Gorbachev in the Kremlin, and immediately courted the West in a search for loans and investments. He established diplomatic relations with Pretoria in February 1992 and cut off all financial support for the ANC, and received de Klerk in Moscow in May 1992. Still, the Co-ordination Council of the Opposition maintained Soviet policy with regard to the ANC. The ANC victory in the 1994 elections reversed Yeltsin’s policy, and the pro-Western faction of Yeltsin’s party were defeated in the Russian elections soon after. The Soviet Union has been acknowledged as the ANC’s most important benefactor, providing military support in the form of hardware, as well as training some 2,000 MK cadres. Other forms of support were equally forthcoming, and many of the ANC’s leaders, including Thabo Mbeki, received degrees from universities in the USSR. The Soviets helped the ANC maintain structures that came under enormous pressure, especially through the slump in the 1970s. These same structures were then replenished by new recruits fleeing South Africa after the Soweto Uprising in 1976. After that, MK cadres trained in the USSR launched devastating attacks that added to the pressure bringing apartheid leaders to the negotiating table.